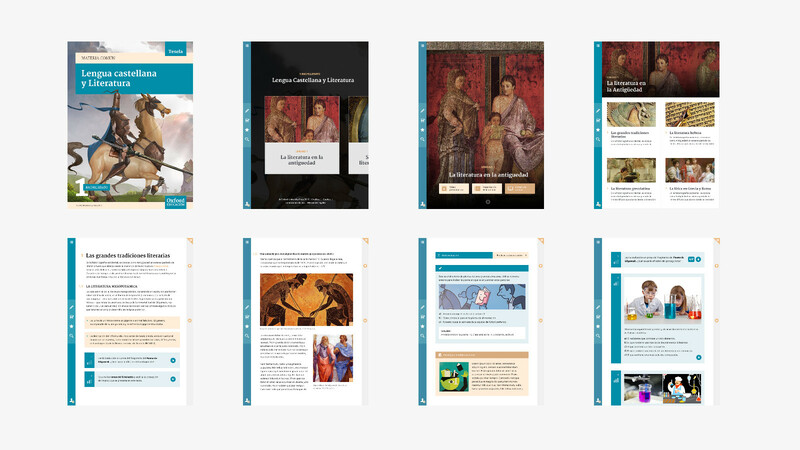 The first project consisted in creating a digital book which would act as a container for all of the different material published by Oxford University Press Spain. 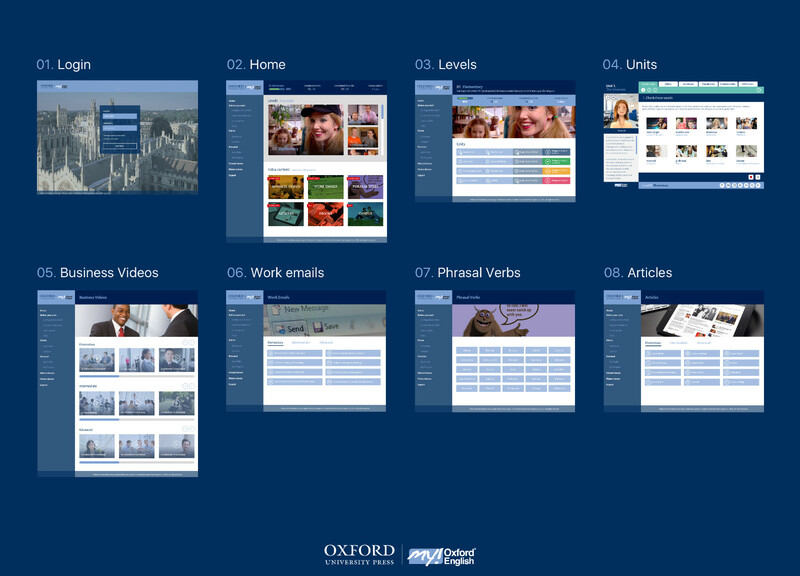 We carried out several research sessions with the client to find out the representation requirements of each informative element in all of the Oxford books for primary and secondary students and studied the way in which to convert this information into the smallest number of conceptional containers possible. An exercise in simplification, focussing on the architecture of the high-level information which we used to create a structural design which accommodated each one of these elements and was compatible with the brand image and the colour scheme, something which was already graphically assigned to each subject. 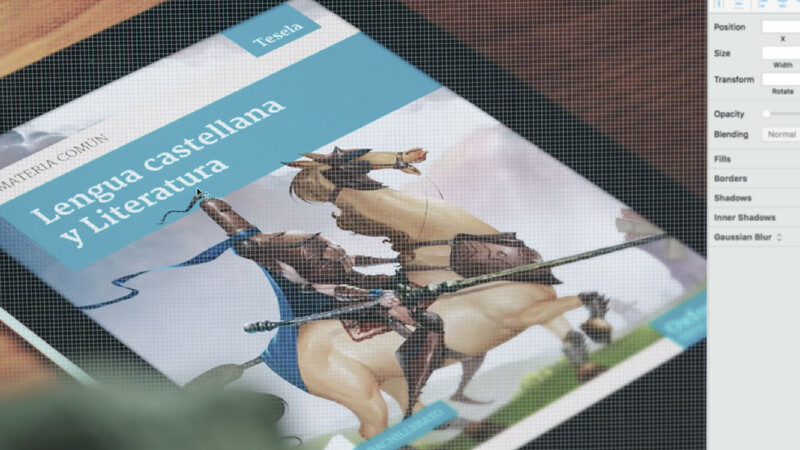 We designed a functionality which, broadly speaking, was reminiscent of the use of a paper book but we added the advantages of a digital environment. This means that you could both turn pages and carry out searches, take notes, highlight or even complete some exercises. 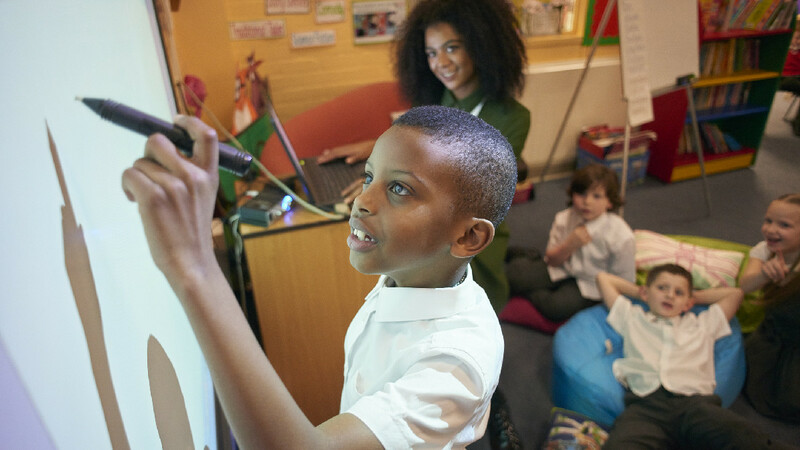 In view of the results that were obtained, the headquarters in Oxford gave us the task of redesigning a Dual application for the digital whiteboards as they were becoming more and more popular in schools. 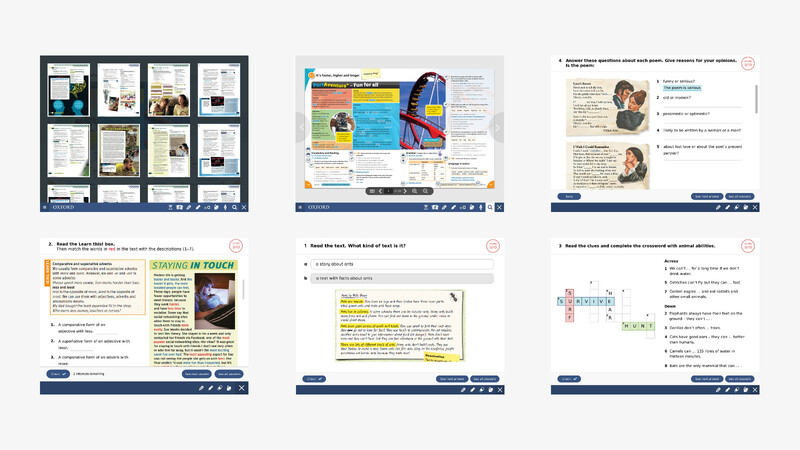 The focus turned out to be even more practical and interactive as the application had to allow access to the same content included in the paper books that the students would continue to use and, at the same time, support, from a pedagogical point of view, different formulas which reinforced learning. The main difficulty was finding a navigation structure which was both solid and intuitive enough, from which the different pages could be accessed which up until then were full of elements of interaction to trigger different functionalities. Much of the content formed part of an itinerary of exercises to make knowledge sink in: test questions, true and false exercises, gap-filling, tests against the clock, grouping concepts together, matching pictures and images, crosswords or audio exercises and dictations... That is why we had to take into account the context of this navigation: The students were going to resolve these exercises whilst standing up and, possibly, cooperating between themselves. Lastly, Oxford Spain commissioned a consultancy from us in order to revitalise their training platform for companies, private individuals and education centres. From the first workshops we knew that both their teaching method and their content or the rate of students who finished the course were of a high level. The adoption problems were being caused by something else. On this basis, we carried out a study with users of the platform, both from the professional sector and from the educational sector, and we reached the conclusion that the revitalisation achieved a more adequate content strategy with its consequent multiplatform modernisation. Based on this hypothesis, the application evolved into a dashboard with information regarding the student’s progress, and functions were added along with content from business videos, phrasal verbs, drag and drop and vocabulary exercises, as well as re-adapting the core of the application to a html responsive structure, and therefore avoiding technical problems which could spoil the user experience. Finally, we worked towards the commercial point of view and devised a redesign of the landing of the platform aimed at an onboarding process which would encourage recursiveness. Collaboration with Oxford University Press has not ceased to evolve. We are currently still working on the evolution of their products, fruit of the application of our initial recommendations.